Jules Hudson visits South Cumbria to help a couple from Cheshire look for an idyllic rural home with a country style kitchen and a garden big enough for a vegetable plot. Escape To The Country was broadcast on Seven at Tuesday 22 January 2019, 23:37. Escape to the Country is a British television show about the purchases of (rural) real estate by ordinary people and families. The subjects of each episode are usually looking to leave the city where they live behind in order to move to a calmer and more rural location. Based on the preferences and possibilities of the potential buyers the show's presenter comes up with four houses (later on the format was adapted to three houses) for them to view. 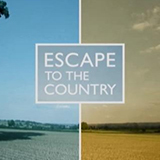 Each episode of Escape to the Country exists in two formats, namely one of 45 minutes and one of 60 minutes. The series also inspired the show Escape to the Continent in which real estate in more exotic locations like Malta and Portugal ?is explored for potential buyers.